With 20+ years of manufacturing experience behind him, Robert “Bud” Pendarvis, founded Pendarvis Manufacturing in early 1982. The original shop had 1 knee mill, a manual lathe, a small radial arm drill and 2 weld stations. Bud had honed his skills in the world of Aerospace manufacturing with an emphasis on welding. Bud had quite the reputation around town too. At one time “Back in the day” all 4 of Bud’s son were part of the company. His 3rd son, Brian, came onboard full-time in the spring of 1985 after being Honorably discharged from the US ARMY in March of 1984. In the late 1990’s, Brian slowly took over the day-to-day management of the company and grew the company to +- 25 employees and the range of $4.5 million in annual sales. Fast forward to the spring of 2014 and Brian took over the ownership of the company from his father. We currently work out of 15,000+ square feet of manufacturing space. We attribute our success to being grounded in the Christian principles of humility, honesty, integrity, respect, kindness and a sense of social responsibility. We create eternal value by striving to honor God in all we do. This is reflected in how we conduct our business and how we care for our employees – our greatest asset. 40 years of combined experience in CAD/CAM programming utilizing Surfcam and Mastercam. Hurco VM3 Vertical Mill with an envelope of 50" by 18" by 18"
Miscellaneous Support Equipment: including fork lifts, a 3 ton bridge crane, and hand grinders. Pendarvis Manufacturing provides these comprehensive services to customers that are looking for a complete “turn-key" solution. 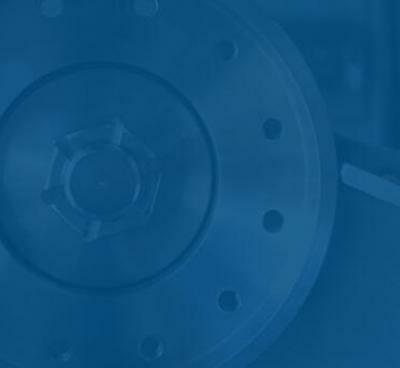 Contact the Pendarvis Manufacturing team today for help in solving your unique manufacturing challenges.